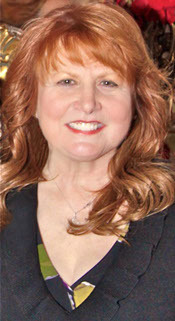 Kathleen Rosso-Gana has had a national reputation for over 30 years as an educator, author, motivational speaker, academic and workplace skills trainer and a consultant for business and education. As founder and president of Motivational Educational Training Company, Inc. and New Hope Academy, Kathy Gana has appeared on television and spoken on talk radio over the past three decades. Each Saturday Kathy can be heard at 4pm (time may vary) on WPHT 1210 AM during “The Educational Hour” with Dom Giordano. She shares successful student strategies with parents and educators. Her energizing spirit, cutting-edge educational model, and innovative teaching philosophies have made Kathy a highly sought-after speaker and trainer. In 1979, one of the area’s school superintendents sent a student to New Hope Academy’s managing company, Motivational Educational Training Company, Inc., METC. The student had a good heart, but had made a bad choice. He was supposed to stay for two weeks, but he did so well that the superintendent placed him with us for his last two years of high school. The rest is history. Word got out about how much success we were having with METC’s day students, and more districts began to place students with METC, as opposed to traditional alternative schools. One of the biggest differences at METC was the one-on-one or very small group educational environment. We were able to help students to heal emotionally, and then deal with their education. Soon our philosophy of “head and heart before the brain” was helping students to flourish beyond their wildest dreams, and far beyond the expectations of their parents. Students came to METC from every conceivable situation, and they began to make great strides. In the fall of 2000, four different families came to see me. Each family had a child who was a great person, but so in need of METC’s model. Traditional high school was not working, but the parents had no intention of putting them into alternative schools. They wanted a private school: the private school that I did not yet have.